It’s panama hats, pimms, plus strawberries and cream galore at the start of August with the 5-day Glorious Goodwood Meeting (Tues 31st July to Sat 5th Aug). As always, the West Sussex track can expect monster crowds throughout the week with a whole host of top-notch contests each day for punters to get stuck into. We continue on Day TWO with four LIVE ITV races, including the Molecomb Stakes, plus the Group One Sussex Stakes. TQ VERDICT: The Ian Williams-trained COOL SKY (e/w) took this race 12 months and being the only proven distance winner over this 2m5f trip in the field must command respect. This 9 year-old is rated 5lbs higher this year but blew away the cobwebs with a run in the Northumberland Vase (13th) at the end of June so should be spot-on for this. Last year’s winning jockey – Josie Gordon – remains in the saddle too. We’ve also got last year’s third running again – Arthur McBride. This Nigel Twiston-Davies runner gets in off the same mark but is at least a proven course winner here and only has 2 ½ lengths to find on last year’s form – he would rate a player again this year. The trends, however, suggest looking for horses aged 7 or younger, with 4 and 5 year-olds having the best recent records in the race – winning 10 of the last 16. Popular hurdler – Lil Rockerfeller – is sure to attract attention and will have no issues staying the trip. He gets in with just 8-13 to carry and the in-form Silvestre de Sousa has been booked to ride. He’s won two of his four flat turf races and off a mark of 82 could be thrown-in. Trainer Mark Johnston has won the race a few times recently, so his Dominating can’t be totally ruled out despite a few poor runs of late. However, the other one I like here is the consistent COEUR DE LION. This Alan King runner was a fine third to Stratum last time out in a similar race and prior to that wasn’t beaten far at Ascot and Chester. He rarely runs a bad race and despite only winning once on the flat from eleven starts, he’s a horse that has been placed in the top three 8 times. With conditions to suit again and most of the main trends on his side then this 5 year-old looks sure to be thereabouts. Gary Moore has a fair hand with Altaayil and the Ryan Moore-ridden Kloud Gate running for the yard, while the Richard Fahey-trained Northwest Frontier has done little wrong in winning three of his last four and could have more to give. Denmead is another that ticks a fair few boxes and caught the eye when running on well at Newcastle last time, but the safe call here is to stick with last year’s proven winner of the race – Cool Sky, plus the consistent Coeur De Lion. TQ VERDICT: With 9 of the last 12 winners coming from stalls 10 or lower then Miss Latin (11) andProschema (12) would have this trend to overcome. It’s a race that trainer Mark Johnston loves to win though and with three entries again this year – Baileys Excelerate, Lynwood Gold and Making Miracles – then he’s throwing a few darts at the prize again. Of that trio, the Ryan Moore-ridden MAKING MIRACLES looks the one to be on having won two of his last three. The most-recent of those was an easy three lengths win at Haydock and despite a 7lb rise there looked to be more in the locker that day. He likes to race up with the pace but with that last win coming over 1m6f we know he stays so his stamina will be made full use of back over 1m4f here. Of the rest, Drill, Corgi and Infrastructure all have consistent profiles and can be involved, while the Roger Charlton team have a decent 21% record with their 3 year-olds at the track so their POLISH could do best of the rest. This horse is also lightly-raced with only three runs so it’s interesting they are pitching him into a handicap for the first time in a competitive race like this – they clearly feel he’s above average and capable of not disgracing himself. TQ VERDICT: Did you know trainer – Aidan O’Brien – has never won this race over the years? He’ll be looking to change that this year with a horse called Fantasy, who was last seen running down the field in a Group Three at the Curragh. That came over 6 ½ furlongs but she led for much of the way that day and only got tired in the final stages. With that in mind, the drop back to 5f here looks to be in her favour and with Ryan Moore riding she is sure to be popular in the betting at what looks a value price. Rumble Inthejungle was a fair fourth in the Norfolk Stakes at Ascot last time out – only beaten 2 lengths – so should go well, while trainer William Haggas has a good record in the race – he runs QUEEN OF BERMUDA. Yes, she flopped in the Windsor Castle Stakes last time out, but she was sent off favourite that day and looks a filly that is better than that. It’s interesting connections are opting for the first-time tongue-tie here to help with her breathing and jockey of the moment – James Doyle – is an obvious bonus in the saddle. The horse that won the Windsor Castle – Soldier’s Call – will, therefore, be all the rage to uphold that form and it’s hard to knock holes in his performance there but as a result doesn’t look great value in the betting and would still need to give 3lbs away to Queen Of Bermuda too. Street Parade caught the eye when winning by an easy 8 lengths last time at Chepstow and showed a lot of speed that day, but this is a big step up in class. Vintage Brut and WELL DONE FOX are the others to note and have form in the book that would see them go close, especially the last-named as the Richard Hannon camp have won this race three times since 2009. This colt beat another runner – Life Of Riley – by just under a length last time at Sandown in a Listed race, which was an improved effort on his eighth in the Windsor Castle so you feel he can get a lot closer to Solider’s Call here too. 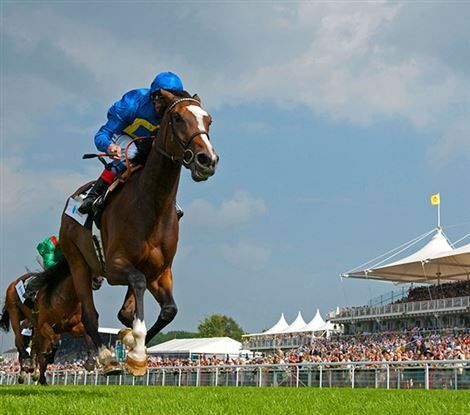 TQ VERDICT: A cracking renewal of the Sussex Stakes. Orbaan is rated 105 so you feel would have it to do but with the other seven runners rated between 112 and 119 then a case can be made for them all. Trainer Aidan O’Brien has won the race four times in the last 17 years and has another big chance with Gustav Klimt. This 3 year-old will get 7lbs from the older horses and ran a blinder to be a close second in the St James’s Palace Stakes at Ascot in June. The winner of that contest was WITHOUT PAROLE who is rated just a pound higher than the O’Brien horse and heads here with his unbeaten record still intact. This Frankel colt will be looking to win a race his dad won twice and heads here having won all four of this starts. It’s no secret the yard and his regular jockey – Frankie Dettori – think a lot of him and I think he can uphold that Ascot form. Being a 3 year-old, he’s another that gets 7lbs off the older horses but there should be more to come with only four career runs. He’s a big player with proven Group One-winning form to his name and will be looking to give trainer John Gosden his second win in the race. However, with Frankie suspended then it’s worth noting Andrea Atzeni steps in for the ride. Beat The Bank won a Group Three at the meeting last year and bounced back to form last time at Ascot – beating another runner that goes here in Lord Glitters by a neck. Both look to have a say, but it might not be easy giving 7lbs away to the 3 year-olds. The same applies to the other course and distance winner in the field – Lightning Spear. So, the other big player looks to be another 3 year-old – Expert Eye. This horse dotted-up at this meeting last year in the Vintage Stakes and was billed as the next big talking horse. However, he flopped in his next three races before returning to form with an easy 4 ½ length win in the Jersey Stakes. That Group Three victory was one of the performances at Royal Ascot this year and with proven winning form at Goodwood he has a lot going for him. Having said that, we’ve been here before with this horse and until we see a string of good runs I still think he’s got a bit to answer. He’s also yet to win beyond a mile and with 15 of the last 17 winners of this race having won over this mile trip that would be a negative. I think Beat The Bank and Lord Glitters should be thereabouts, but I’m happy to remain on the side of Without Parole and he looks for win number five.